Irritable bowel syndrome (IBS) is a disorder that affects the large intestine. It is characterized by abdominal pains, excessive gas, bloating, constipation, diarrhea, and cramping. IBS can either be mild or severe. Most people have mild IBS and they easily manage it through dietary and lifestyle changes. Chronic IBS is a long-term disease that requires proper medications and counselling. 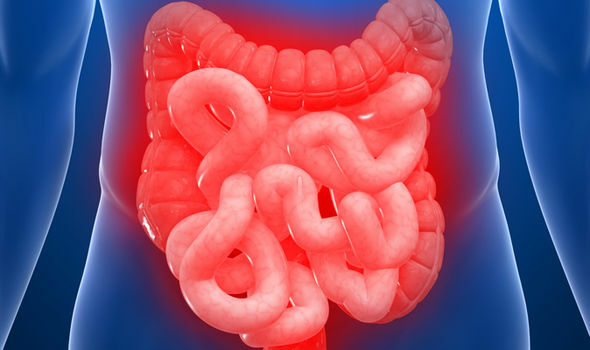 Since it does not damage the bowel tissues, severe IBS does not increase the risk of colorectal cancer. Abdominal pain and bloating that is partially relieved by emptying of bowel. The exact cause of this condition is unknown. However, there are factors that facilitate the development of the condition. Muscle contractions in the intestines. Intestinal muscles contract to facilitate movement of food through the digestive tract. Stronger and longer contractions result to bloating, accumulation of gas and diarrhea. Poor coordination in the nervous system. Lack of coordination between the brain and the intestines lead to abnormal functioning of the digestive system. Severe infection. Presence of excess bacteria in the intestines may lead to serious bout of diarrhea. Bacterial changes in the gut. Bacteria that reside in the intestines are known as microflora. Researches shows that the microflora present in people with IBS differ from those found in healthy people. Intolerance to food like dairy products, beans and carbonated drinks may trigger symptoms of IBS. Stress leads to worse cases of IBS. Hormonal changes, especially in women lead to worse forms of IBS. This is true during menstrual cycle. People under the age of 50 are more likely to experience IBS. Females have a higher risk of IBS than men. Mental disorder, such as anxiety and depression play a key role.